The AHD clinic welcomes everyone to get informed about the exclusive services of the AHD Hair Transplant Turkey ! Dr Hakan Doganay has made a primary approach to substantially treat hair loss. As AHD exclusively performs FUE – Follicular Unit Extraction Dr. Hakan Doganay intensively focusses on the latest state-of-the-art method and technique for hair transplant on the patients. 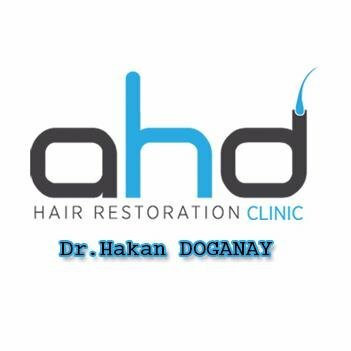 Founder of AHD, Dr Hakan Doganay has started in 2002 to for high-level hair transplants on patients worldwide regularly granting solid and substantial quality with outstanding results. As FUE – Follicular Unit Extraction has been characterized around 2006 as one of the most used techniques for hair transplant ever since Dr Hakan Doganay has been one of the pioneers around Turkey and Europe to present outcomes. Being inspired by the work of the famous hair surgeon Dr. Lorenzo he started hair transplant with FUE with Implanter Pen Tehcnnique. AHD Hair Transplant Turkey has been producing numerous good results and has numerous good reviews in international hair transplant forums.